"At the end of the day the huntsman blows his horn one final time. The distinctive notes tell that the day is over and it's time to return home (sometimes from quite a distance away). 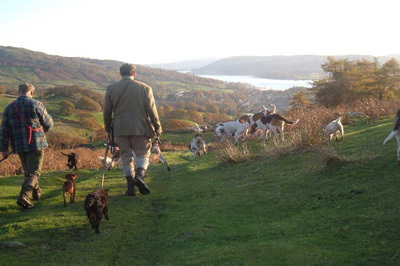 "For some the pub beckons, others a hot bath and a meal after seeing to the terriers, but for all followers, hounds and huntsman its time to 'ga yam' (go home)"
The Story of Braithwaite 'Brait' Wilson and the Ullswater Fox-hounds. Anthony Chapman, renowned Lakeland huntsman, followed by many, respected by all. Another well researched book using original publications tracing his life and career.